The choices of stairs depends on the functionality of stairs, available space and safety of residents. 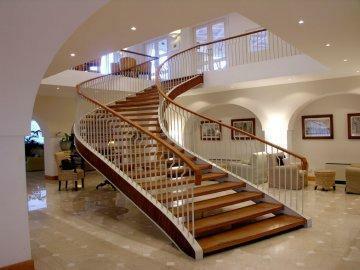 You have a number of options for stairs such as straight flight stairs, L shaped stairs, curved stairs, spiral stairs etc. each having advantages and disadvantages. Here are given some shapes of stairs to choose for your house. The straight stairs are the stairs that are generally used in new house construction. Straight flight stairs have no turns; these are not as expensive as the other types of stairs. Wooden straight stairs with metal support strings and white pillar is a dominant feature for the room in picture below. A complete wooden touch living having wooden staircase, wooden floor and wooden furniture. Utilization of space under the stair is an additional feature of the room. 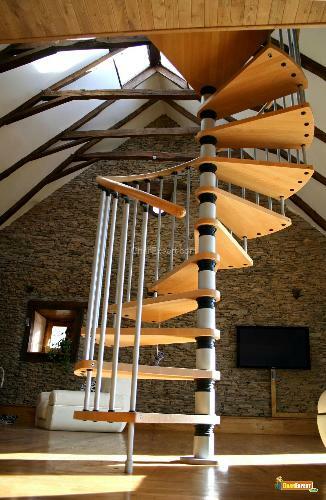 A Spiral staircase twists around a central support of pole. Such staircase is useful where space is limited but may give difficulties, however when you need to take large objects such as furniture, upstairs. Most of the spirals are made from steel that are welded together. In this picture, treads are made of wood which looks elegant and open treads are tightly attached with the support pole that makes it not safer for kids. 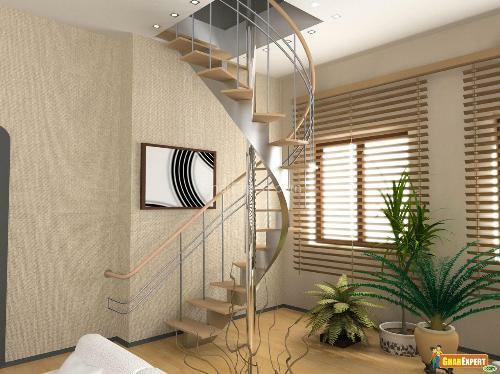 A Circular staircase makes good use of restricted space and have elegant look which have the metal support pole and support for treads also. Upper hand rail and treads are made of same material and color which looks attractive with steel handrail. L shaped stairs are used when the space required for straight stairs is not enough. L shaped stairs is one that makes L in shape and makes 90 degree angle at the turn. 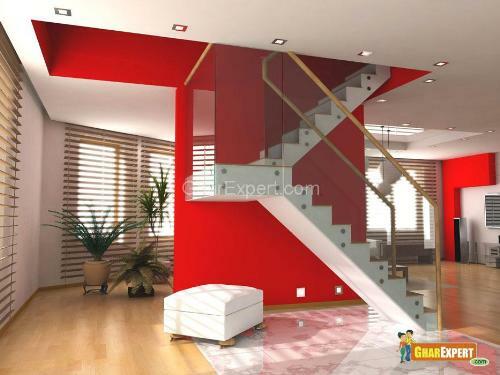 Painting stairs with white color, wall with red color and white color ottoman placed under stairs gives a modern look to house interior. Curved stairs are as similar as the spiral stairs; however the basic support system for curved stairs is as for the straight stairs with inner and outer strings. 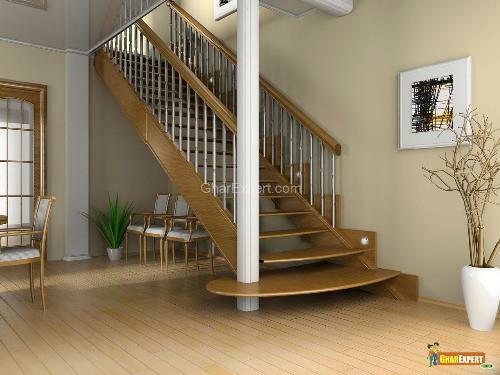 Wooden stairs and wooden handrail with metal strings can give modern look to your house. 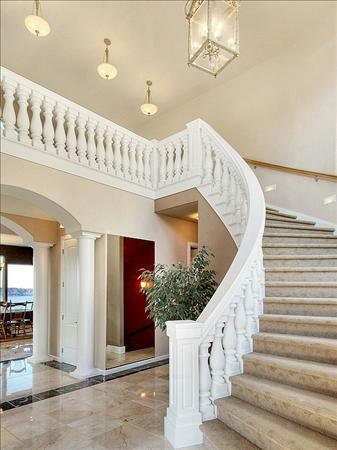 A traditional white hand rails and marble on treads and risers will be your choice.